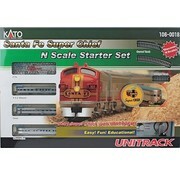 Santa Fe's finest train makes a great starting point for your N Scale model railroad! 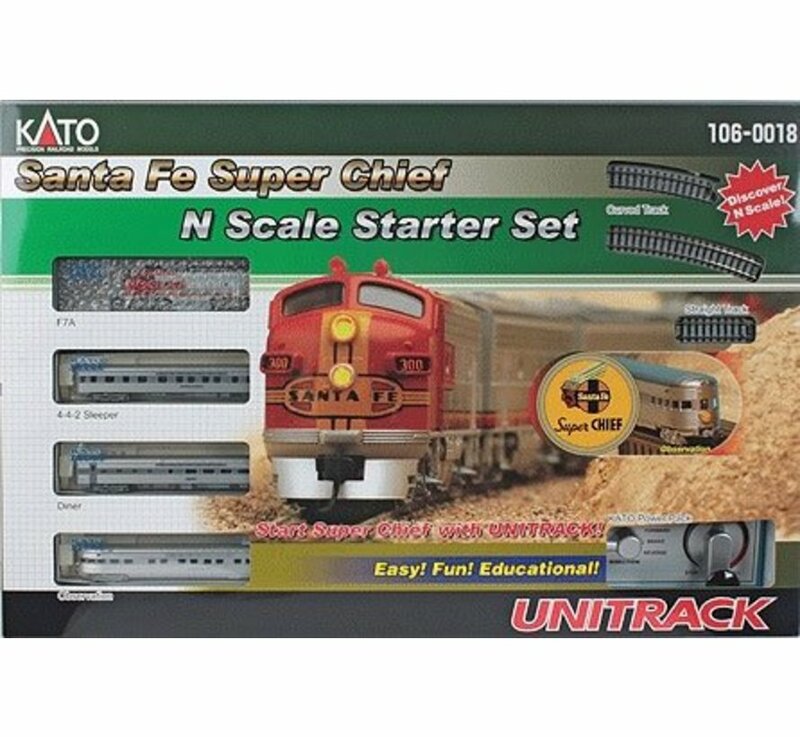 This set features a Santa Fe F7A diesel in the world-famous "Passenger Warbonnet" scheme and three authentic "stainless steel" cars: 4-4-2 sleeper "Regal Court," Diner #601 and observation "Vista Valley." 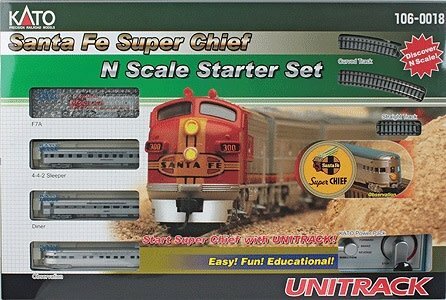 A complete 3 x 4' 0.9 x 1.2m oval of UNITRACK with a rerailer makes for easy set up, and there's a power pack and starter guide.